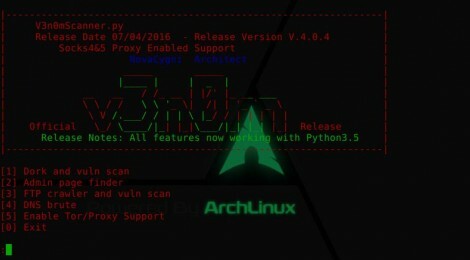 Browse: Home / V3n0mScanner v4.0.4 – A tool to automate mass SQLi d0rk scanner. V3n0mScanner v4.0.4 – A tool to automate mass SQLi d0rk scanner. + pkgbuild : Update PKGBUILD. 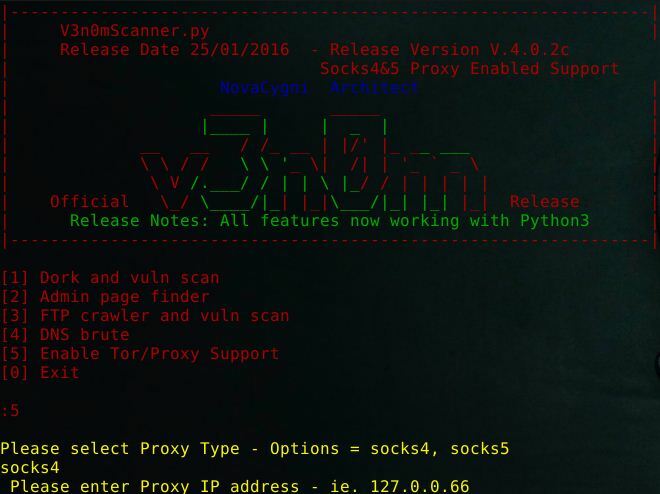 v3n0m is a free and open source scanner. Evolved from baltazar’s scanner, it has adapted several new features that improve fuctionality and usability. It is mostly experimental software. This program is for finding and executing various vulnerabilities. It scavenges the web using dorks and organizes the URLs it finds. + Brand new, just outta the box! + Largest and most powerful d0rker online, 18k+d0rks searched over ~ Engines at once. ← PowerCat Updates – A PowerShell TCP/IP swiss army knife that works with Netcat & Ncat.